I used Copics to colour this cupcake – I was aiming for a chocolate cupcake with lemon cream icing. 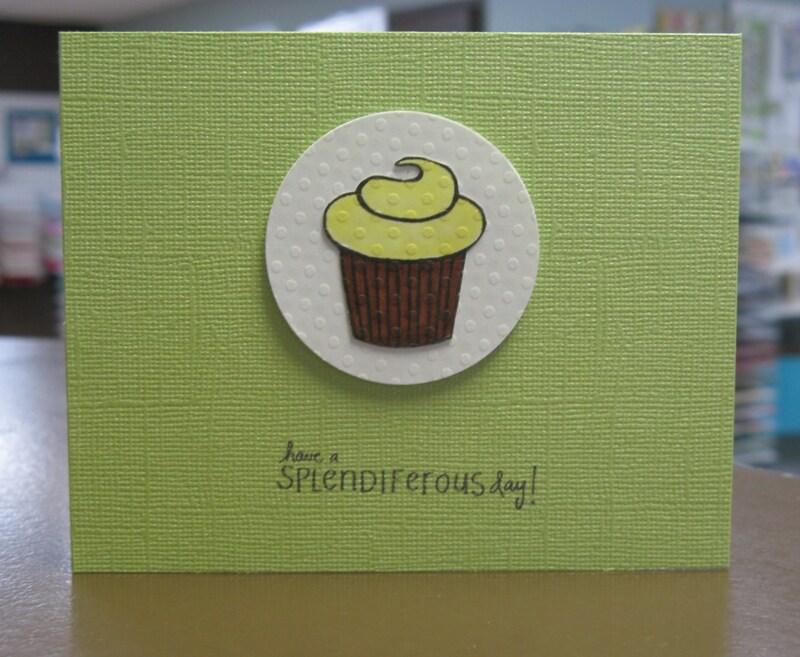 This first card is pretty dull but I’ve been having fun using a ton of different A Muse sentiments with this cupcake so stay tuned throughout the rest of the week for more cupcakey goodness. If you’re in St. John’s you should check out the exhibit – Get Baked: Art for Your Sweet Tooth. The show is going on from February 5th to 7th at the Arts & Culture Center. Click on the link for more details! Very cool, Meghan! That’s a whole lot of cupcake cards!